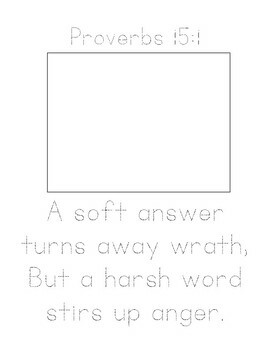 I created a Bible Verse Tracer for this week’s verse, Proverbs 15:1. On Monday, Parker traced his Bible verse. On Tuesday, he illustrated his verse. On Wednesday, we cut it apart like a puzzle and he glued it in his Bible lapbook. By Thursday, he was able to recite it for a smelly sticker! We continued lapbooking around the world with Kate and Mack. This week we learned about the Uganda. The boys colored the flag of Uganda and added it to their lapbooks. Parker is really interested in sketching some of the interesting things we read about each week. Once Jordan heard the word coffee, he immediately had the inspiration he needed to sketch an elaborate cup of java! 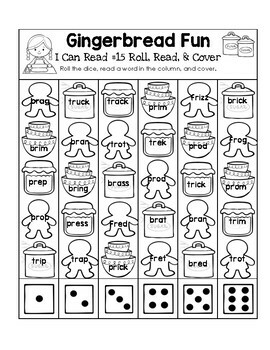 I created another Roll, Read, and Cover Worksheet for our I Can Read It Lesson #15. Parker used his dot paint to complete this gingerbread themed activity. 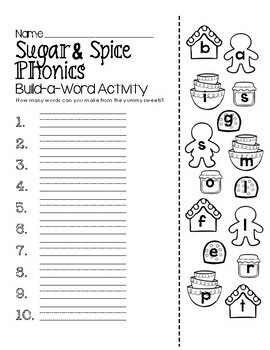 I Created a Sugar & Spice Phonics worksheet to make this week’s word building activity a tad more festive. Parker and I colored the letter tiles to make them look more “Christmasy”. He made many creative words this week….perhaps the gingerbread men helped inspire him! 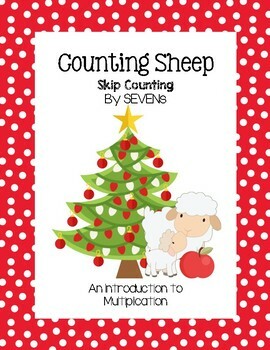 I created a Counting Christmas Sheep pack for Parker to continue working on his early multiplication skills. First he used the mat to skip count by seven. Next, he did the cut and paste worksheet as we reviewed the transition from skip counting to multiplying (i.e. we read “7 x 4” as “skip count by seven four times”). Last, he worked on solving the multiplication problems and we color coded the answers by even and odd. This week Parker’s worked on non-standard measuring. We brought out our holiday tray with buttons, jingle bells, and more. He used the colored bingo markers to measure some Christmas items. 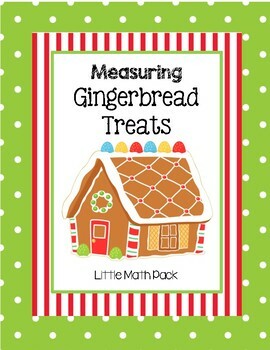 I created a Measuring Gingerbread pack for the kids to work on. You can purchase it here. There’s a bonus FREEbie you can download in the Preview! I put spice drops in bowls for the kids to use as our non-standard unit of measure. First the kids wrote their estimates. Next, they measured with their gumdrops to see how accurate they were. This was a fun and festive activity for all the kids. I printed Gumdrop Patterns (A Measured Mom) for the kids to work on. They had fun creating the gumdrop patterns. Even Haley enjoyed this festive brain break and sampling our non-standard units of measure. This was a great way to continue our gingerbread theme and make our math activities a bit more festive. This was our round-up science week, because we had two weeks worth of science experiments we needed to wrap up. This week our science was decked out in gingerbread and gumdrops! I baked up some gingerbread pirates the night before. The next morning we read Gingerbread Pirates and the kids ate a yummy gingerbread cookie! What’s a plimsoll line me-hearties? This is a water line on a boat that shows maximum weight capacity. We got out our gumdrops and started “loading our pirate ship with gumdrops”! As Parker loaded the ship, he had to keep the cargo evenly distributed or it would lean heavily to one side causing water seepage. This perfectly illustrated the point of ships having separate cargo rooms! We marked our plimsoll line and readied the crew to load the deck! Arghh Mateys! Parks loaded the ship using the plimsoll line as his guide and it worked perfectly! We headed to the kitchen for some frozen fun. We talked about the differences between water in a liquid and solid state. We put an ice cube in cold and hot water and watched to see how it reacted. The boys took turns applying pressure to see how the ice melted. Last, Jordan filled a plastic container with water to the brim. We placed it in the freezer and waited to see what would happen! We found that the water pushed the lid up as it froze just like we read about in our science lesson. Friday night was a festive night of building gingerbread houses, watching a Christmas movie, and eating more gingerbread cookies! The kids had so much fun designing their house. Jordan’s roof was VERY artistic with checkerboard shingles and a rainbow rooftop. Parker used the most color though much of it rolled in the back snd can’t be seen from this angle. Haley was the winner with best landscaping and coordinated color scheme. Great job kiddos! Until next time, may your weekend be filled with sugarplums fairies and gingerbread dreams!